Already it’s week 3 and this episode was brimming with a diverse range of emotions. We saw the Dragons listen to 5 pitches all bidding for their investment and expertise. 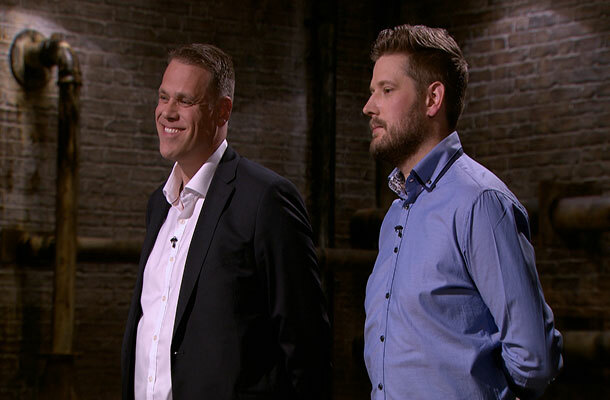 First up were cheeky entrepreneurial charmers Duncan Summers and Steve Noyes with their neat recessed power and AV point called Sync-box. Offering 20% of their business in return for an investment of £55k, their simple solution to hide away TV cables drew mixed reactions. Nick Jenkins felt that the product had issues being over engineered and awkward. Deborah Meaden was quick to launch straight into the nitty gritty of asking the question whether the pair had any of their IP protected. With 3 registered designs already, I spotted the use of the letters ‘TM’ on their packaging. You may be surprised to learn that using the 'TM' symbol bears no legal significance in the UK and is therefore free for anybody to use. It is intended to show people that you are using your name to trade, but that it is not necessarily registered. Subsequently, the duo would have to rely on unregistered rights in a case of passing off but this is more difficult to prove than defending a registered mark. In this instance, we would always recommend seeking legal advice from a trade mark attorney. Sarah Willingham asked a network of questions to ensure that she didn't have her wires crossed in fully understanding the product. Touker Suleyman was the first dragon to socket to them that he was out after discovering that there were no orders up front and no pending contracts. This sparked both Peter Jones and not surprisingly Nick Jenkins to follow. But it came down to the wire in the end with offers from both Sarah and Deborah on the table proposing all of the money in return for a 35% share. Mother and daughter duo Freya and Judy Bass started with an impressive pitch asking for a £60,000 investment in exchange for 20% of their trendy handbag repair business The Handbag Spa. In contrast to Sync-box, Freya and Judy had chosen to use the ® symbol to identify their mark as registered. Interestingly, my search of the trade mark register revealed that they in fact owned a series of 2 marks. So what does this mean? A series of marks is where more than one representation is submitted and there is only a slight difference in the appearance between each one. This could be a change in font, colour or punctuation but must not compromise or affect the identity and distinctiveness of the mark. You can apply for up to 6 in a series. The first 2 are included in the cost of the initial application and the next 4 are £50 each. But if this is something that you are considering, then there is further guidance contained in the manual of trade marks practice. Despite Deborah Meaden expressing that the service was something that she would definitely use, I really thought an investment was all sewn up. However, it was at this point that the den descended into confusion as it became unclear about exactly which part of the business was being pitched. With the all the dragons unanimous in the same opinion, the pair neglected to bag a deal and left the den empty handed. As all fees are non refundable, it is imperative to get your trade mark application right before filing. You cannot amend your mark or add more goods or services once the application has been submitted. If you are a bit of unsure if your mark can be registered then you may want to consider using the Rightstart facility available via an online application. This service does cost slightly more at £200 but it does allow you split your fees. As for me, I will endeavour to wait for my own light bulb moment. But I’m not sure if I would be brave enough to actually go into The Den!